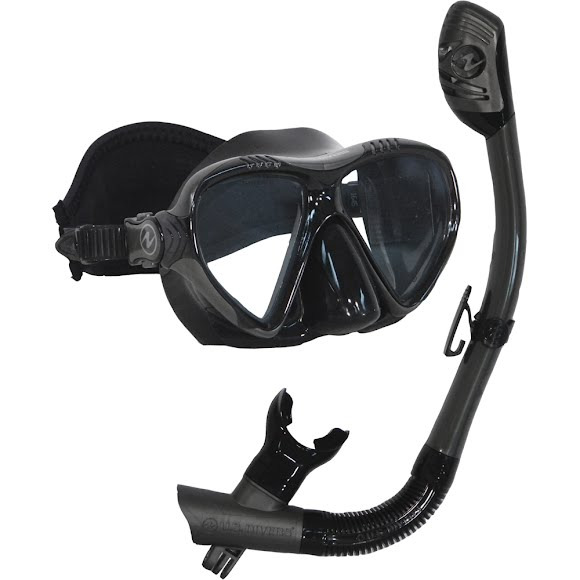 Take to the water and explore the underworld with this mask and snorkel set from US Divers featuring a submersible, dry top snorkel - designed to keep water out of the breathing tube above and below the surface of the water, a 2-window mask for expanded top to bottom viewing. Patent pending technology, the mount is made for use with the GoPro® Hero (2,3,3+ or 4). Avoid the "Splash Zone", capture what you see under the water with the strategically placed mount.